Drupal can be a great CMS to build your job site on. There are not many dedicated Drupal themes however any theme can be made a career or job listing theme with the help of job related modules on Drupal. Check out following themes and modules to start building your job board with Drupal. A mobile-first, reponsive base theme for the Recruiter distribution based on Omega 4.x. Cloudy uses SASS/Compass mixins and the fluid, semantic, responsive Susy grid to provide a slick out-of-the-box experience on any device. Cloudy is geared towards the Recruiter distribution and its features: Recruiter cloudy includes tweaks for the theme as exported block classes and alter hook implementations. Recruiter menu positions the required blocks into the navigation region. Still, you can try the Cloudy theme with any other Drupal installation. You will want to make sure that blocks are positioned within the regions defined by the theme and apply block classes similar to those from Recruiter cloudy. 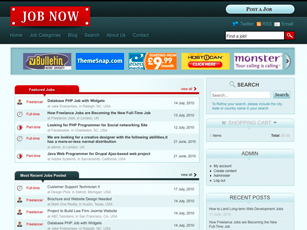 The Drupal Job now theme is complete job board built in Drupal. This theme allows registered members to post jobs for freelance, full-time, and part-time positions. Applicants can then reply to any job posting made and also upload their resume and cover letter. 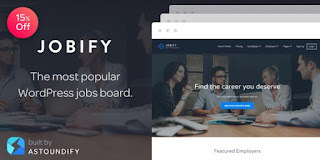 The Job Now Drupal job board theme can be set up with Ubercart so that websites can charge for job postings or you can simply switch off the paid job posting feature and let people post jobs for free. The Job Now theme has a custom front page, comes with Captcha to catch spam submissions, and features banner advertisement positions to earn extra revenue from your Drupal job board. JobBoard is a Retina Responsive HTML5 & CSS3 Bootstrap based Drupal theme for Job Boards, Job Classifieds & Job Community Sites. It includes a lot of features you can easily setup to get your site 99% ready in just a few minutes. It includes a Premium Slider with +100 jQuery effects, a fully responsive layout (try resizing your browser) for iPhone and Smartphones in both portrait and landscape mode, iPad and tablet, desktop and wide screens, an infinite scroll job explorer, taxonomy based naviagion, Employer Role support, a wide social media integration and many more you can read on a detailed list. It also includes a wide set of blocks, views, docs, modules and features packaged with an easy 5 steps installation via the “Next, next …” format. This theme was built containing a lot of SEO best practices. It uses, in every View & Content Page, semantically valid HTML code and CSS so search engines can index them easily. Headlines are where they should be (h1, h2, h3, h4, etc.) depending on the View hierarchy. This module can render table with job posts and group them by company, that’s it. This module provides your sites visitors to browse and search jobs, or post their resumes for employers/recruiters to see. It also allows job seekers to apply for jobs. In effect, your site can be a mini monster.com or hotjobs.com. 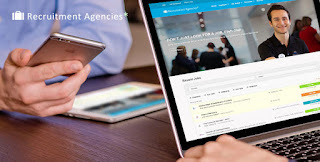 Recruiter is a Drupal distribution for building Drupal based e-recruitment platforms. Users can register either as recruiter and post job classifieds or they can register as applicants and fill out their resume. A faceted search helps users to find jobs and possible job candidates. Drop Jobs is a distribution aimed at creating an extensible, fully-functional and robust job search website using Drupal 7. It is somewhat similar to the Recruiter distribution in concept but has to fundamental architectural differences and aims to go much further as far as feature implementations and offering a more complete out-of-the box experience which more closely resembles current job search portals.